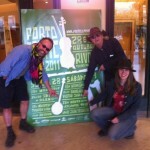 The North Atlantic Trio recently returned from a great weekend at the Porto Celtic Festival. 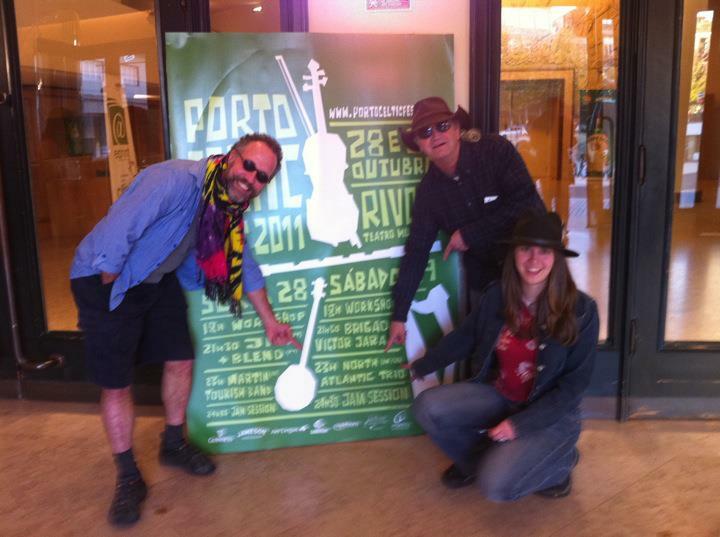 Porto is really one of my favourite cities ever, we had a blast! Besides the fabulous concert, highlights included busking along the Dourmo with a great view across to the port distilleries and bridge designed by the Eiffel tower guy, and a Halloween session on the rooftop overlooking a similar view, with fog rolling in and out. What a great time! Check out the ‘gallery’ section for a few of the session pics. After Portugal, I went straight on to Germany to teach some harp workshops at the Dudelsack Akademie in Hofheim which was a successful weekend with one pupil traveling over 5 hours to get there and stay overnight! Upon arriving back, the trio did a wee stint at the Star Folk Club in Glasgow, where Bruce Molsky joined us for a set. Looking forward to Rutherglen next week! Oh, and a new album review just in from FolkWorld: “beguiling harp playing, subtle but full of spirits”.